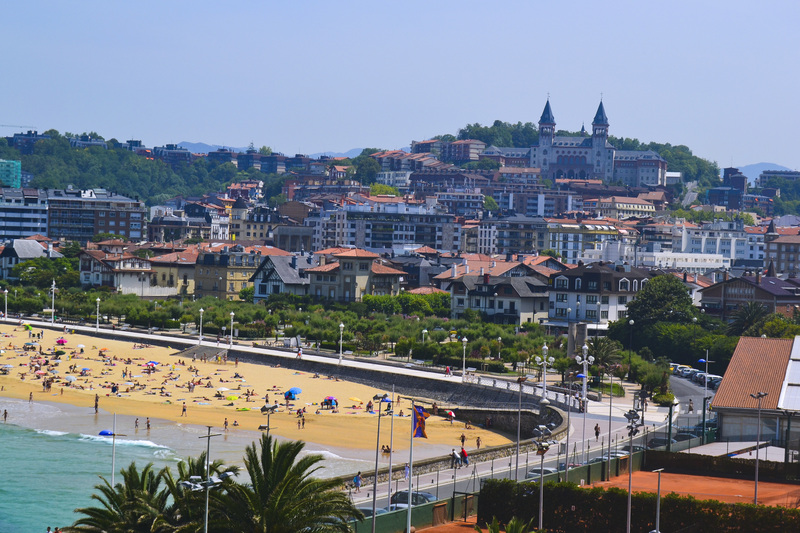 La Concha is not just one of the most beautiful beaches in Basque Country but across the globe. It’s one of the most famous urban beaches in the world. 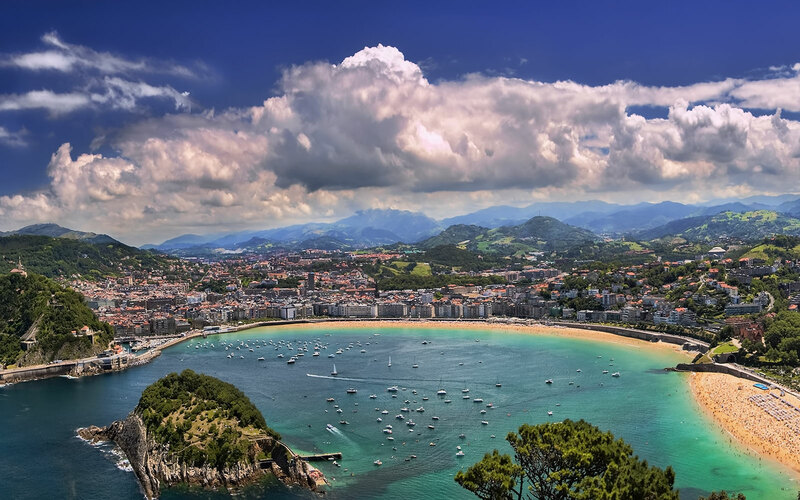 It connects the picturesque Basque city of San Sebastian with the beautiful waters of the Bay of Biscay. Being located next to the hustle and bustle of a city means it gets very busy. Isuntza has a whole host of things to do. Looking out to the island of San Nicolas, you’ll see a lot of Kayaking going on. The promenade of the beach hosts a playground as well as restaurants if you fancy a bite to eat. With gentle waves, it is perfect for young children. If geological features are something you look for in a beach, then Itzurun is perfect for you. The long beach has vertical cliffs with limestone walls that reach up to 150 metres. 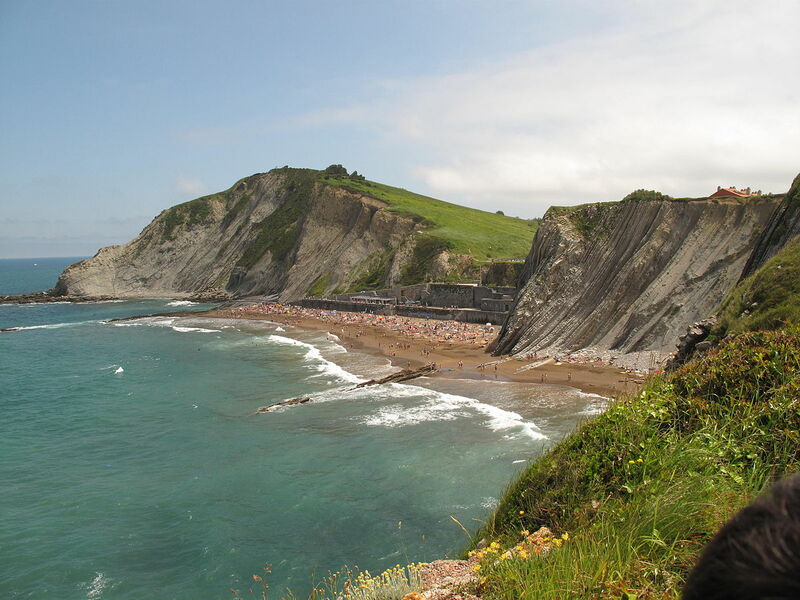 Its host to a geographical phenomenon called flysch (caused by erosion). Itzurun is also great for those of us that love water sports with canoeing, surfing and bodyboarding all available. 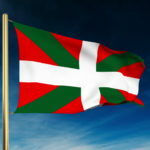 Zarautz is the longest Basque Country beach with a length of 1.7 miles. So hopefully this means you can find a good place to sit! It does get especially busy in the summer months when the town of Zarautz almost triples in size with people looking to catch some rays. Surfers love this spot. 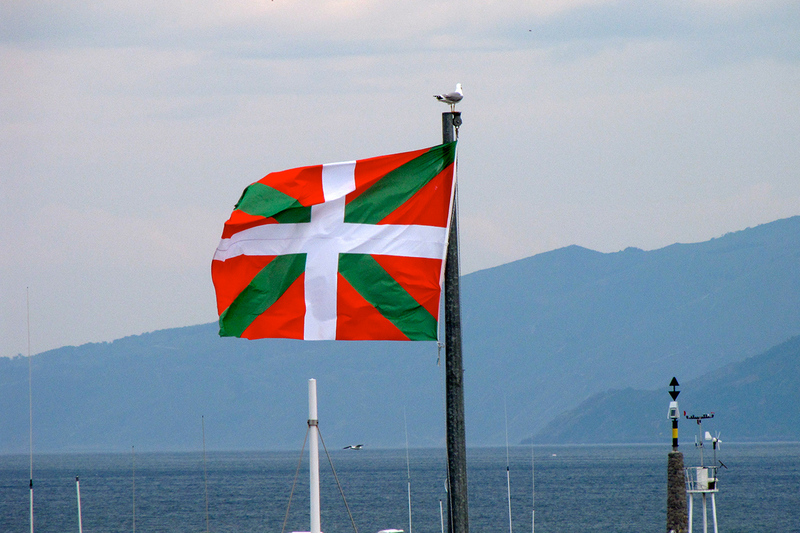 The Basque town of Ibarrangelu calls Laga its own. Laga is one of the most beautifully golden sand beaches you’ll have the pleasure of seeing. There is a surf school for the younger ones to learn how to ride the waves. If you are brave enough you can even paraglide off Ogoño rock. Ondaretta is another San Sebastian beach that is worth the fuss. Especially for the sporty ones of us. Body boarders, surfers, volleyball, beach tennis and beach football are all done down at the beach. There is something for everyone down at Ondaretta.